Patterns add texture, visual interest, and a sense of style to a room, but many people are unsure about how to use them effectively. If you follow a few simple guidelines, you can make your home look effortlessly stylish. Start with one item as your inspiration. It could be an existing piece of furniture, an area rug, a favorite painting or your favorite color. If you’re starting from scratch, you may have selected a fabric that appeals to you. This is where you will draw your color scheme from. A good mix is made of different types of patterns, rather than three different floral prints, for instance. An easy combination to start with is a floral, plaid, and stripe. Plaid makes a good starting point because it usually contains several colors to tie together with the rest of the room. Plaids come in a variety of scales and they mix well with most other patterns. The ideal mix includes a large-scale pattern, a medium-scale pattern, and a small-scale pattern. Stick to three patterns in a room, otherwise you risk making it look busy rather than balanced. For unity, be sure the patterns are spread throughout the room, rather than concentrated in one area. The three patterns will work well together if there is a common color shared somewhere in all of them. But there are other options for creating color schemes. Complementary colors – colors which are opposite each other on a color wheel – are a great choice for a dynamic palette. A touch of a common color found in a stripe of plaid can go a long way to making a piece pop and tying the room together. If multiple colors aren’t your style, select a few shades of the same color. You can be sure about matching if you use three shades of the same blue, for example. A black and white color scheme can be effective when rounded out with some versatile shades of gray. White can be a valuable part of your color scheme. It separates the other colors and patterns and allows the eyes a place to rest. 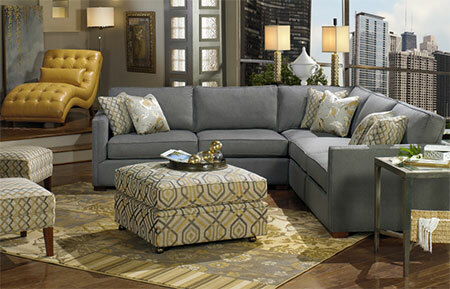 A piece with a plain solid color – such as a sofa or rug – can also provide the same grounding effect. Patterns affect how the room feels. Bold, vibrant patterns enliven a space. Large-scale patterns can create or enhance a focal point in the room. Vertical stripes, such as those on wallpaper, direct the eye upward and create the illusion of height. Horizontal stripes widen a room. Tribal patterns are a hot trend in home furnishings, particularly in textiles. Often bright and colorful, these patterns can create an instant highlight in a room. 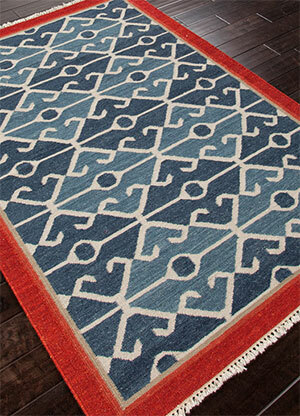 Tribal designs with more muted color palettes or strong geometric patterns lend character to your décor. Whether you’re redecorating or just looking to spruce up your home, creatively mixing patterns is within your reach.